Finally I got my hands on this little beauty! I've always wanted one of these, but never done much about it until last month when I finally gave in and realised that I actually needed one of my own, instead of relaying on my little sister coming home at weekends from uni to use her Mac! 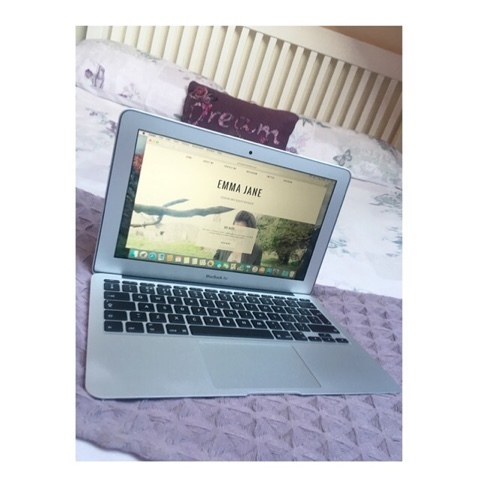 I will be able to do so much more with my blog from this, and take it wherever I want! I chose this size so that it will fit into my handbags (except my Lily of course!) and I can blog whenever and wherever I want and not have to use the app on my phone that broke all the time!! Apple products are my fav; they really are worth the money I think and the aftercare you receive is amazing.